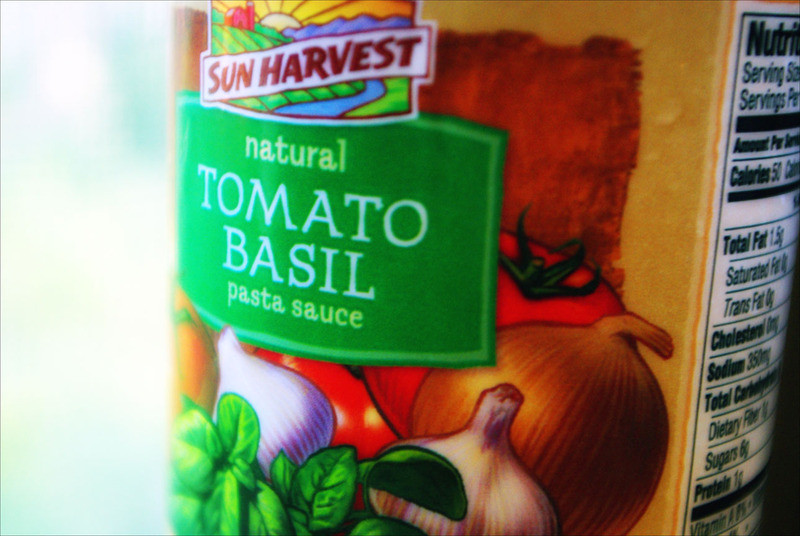 Tomato & Basil Organic Whole Grain Linguine. I love Racconto brand (pictured here) but my favourite is Nature’s Path w/ Flax. 🙂 Here, I tossed it w/ store-bought all-natural tomato/basil sauce, fresh diced organic tomatoes & fresh organic basil. Gee, that’s a lot of “organics” haha. From now on, I’ll just say what it is. You may assume it’s organic, unless I state otherwise. Here’s the sauce I use frequently from my local Sun Harvest store. It’s quite good! Sometimes, I spice it up with some extra Italian seasoning, diced garlic, basil, flat least parsley. I have fun! Tomato Soup! I start by peeling a bunch of tomatoes like this. I saute onions in good olive oil, sweating them down like I always do. Then, I add the tomatoes whole, (no seeding! 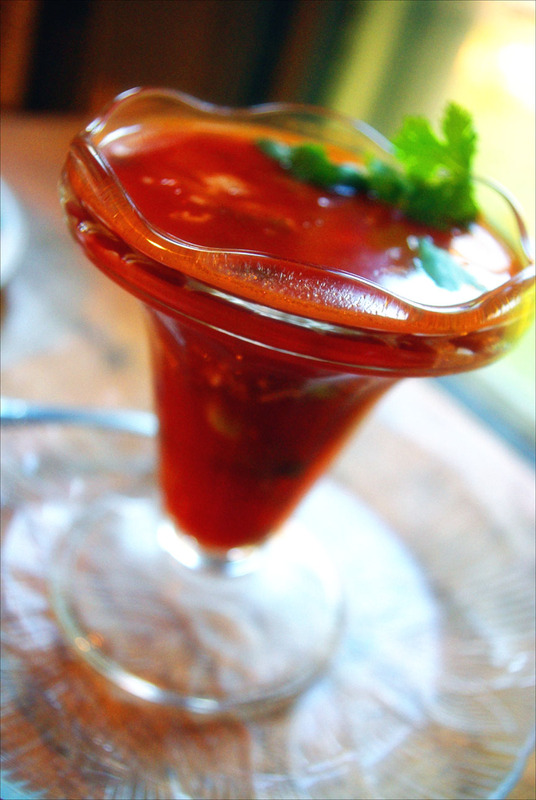 All the natural juices in the tomatoes help the soup!) Add some sea salt, white pepper, fresh thyme, 6 cloves of roughly chopped garlic and let it all cook down on low for about 20 minutes. Next, I add 2 cups vegetable stock and puree with a hand emulsifier. Voila! 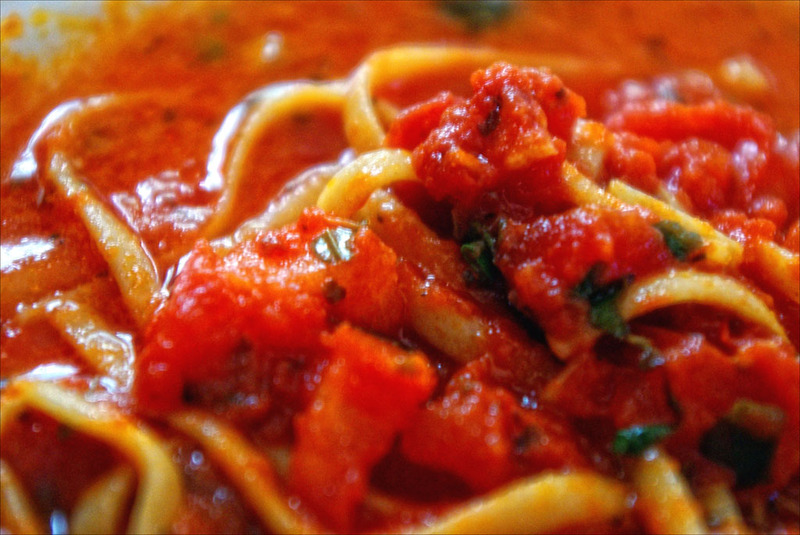 Tomato soup. 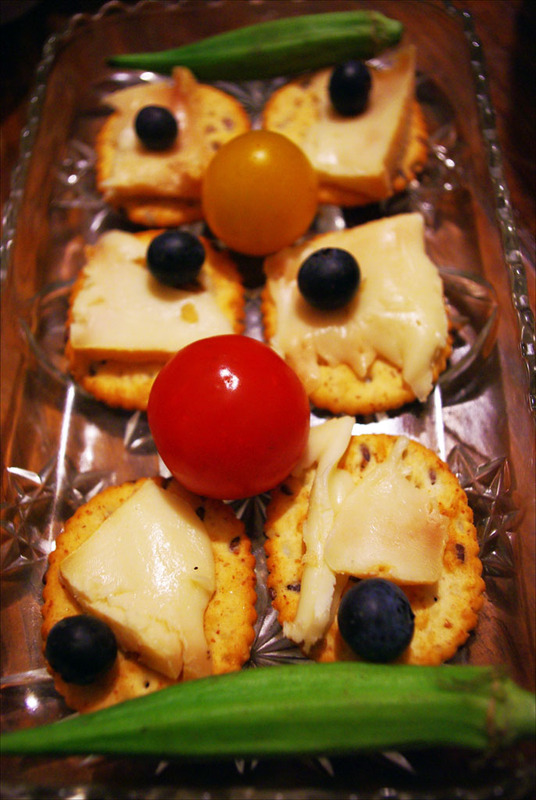 Feel free to top with your favourite cheese, crumbled crackers or dip with warm crusty bread. 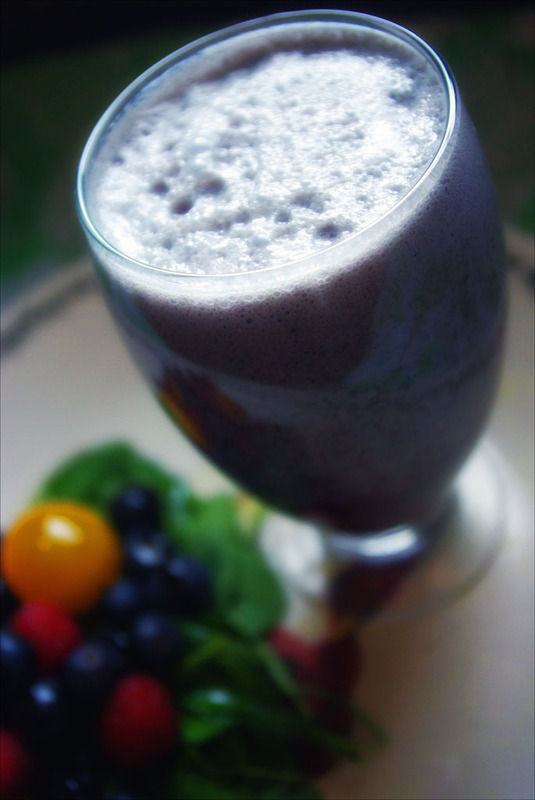 Blueberry & Almond Smoothie w/ a side fruit salad. This smoothie is Gwynnie’s recipe from GOOP. 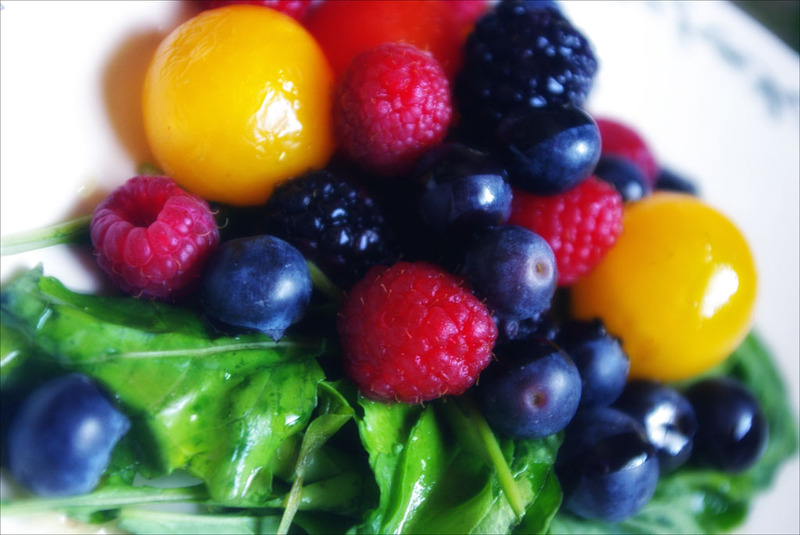 Blackberries, cherry tomatoes, blueberries, raspberries, baby spinach, good olive oil & gentle splashes of red wine vinegar. Yum! 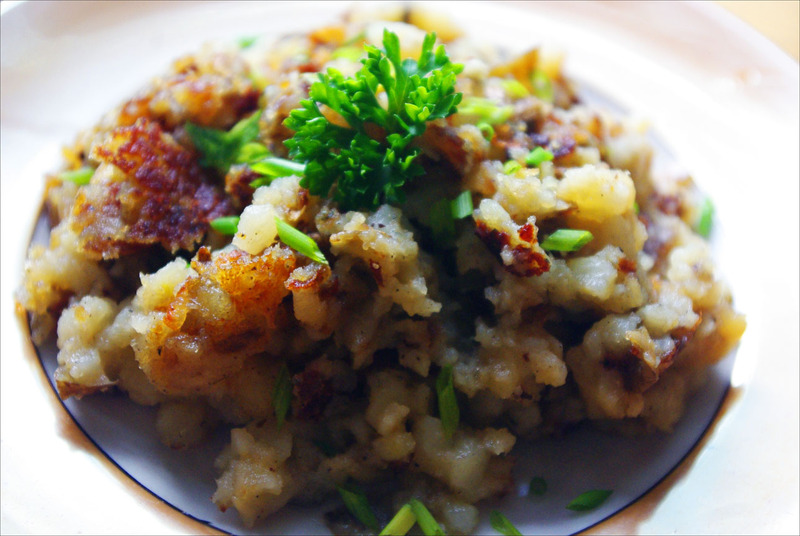 Horseradish Hash-Mash Taters – This is a clever thing to do with mashed potatoes. I saw Giada de Laurentis do it to boiled red potatoes. She presses down on a boiled red potato to give it just a slight mash, flatten it, then fries it in olive oil with some salt and pepper. So I figured I’d try it with some left-over horseradish mash and it was glorious! Kind of like a french fry, kind of like a breakfast hash. Some crispiness mingled in with creaminess. Garnished with slivered scallion and pasley. 🙂 Quinoa is one of my best friends. 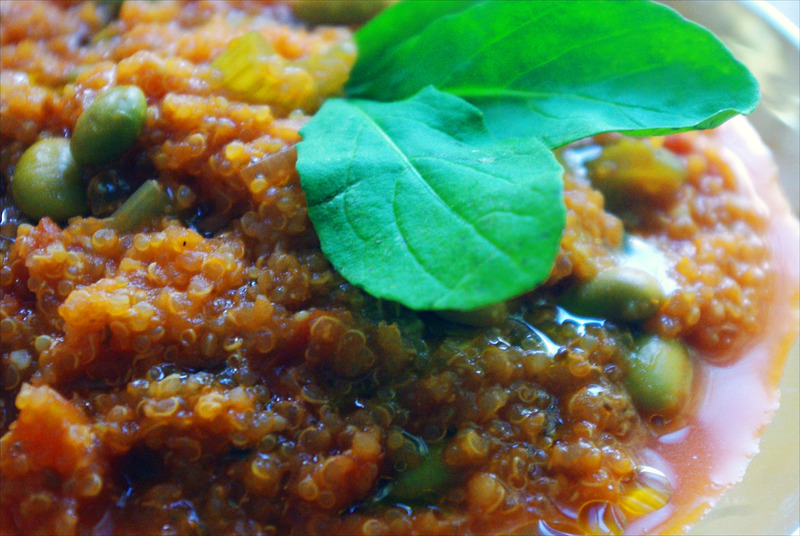 I cooked this quinoa in home-made tomato broth and tomato concasse with celery & edamame. Garnished with fresh basil leaves. 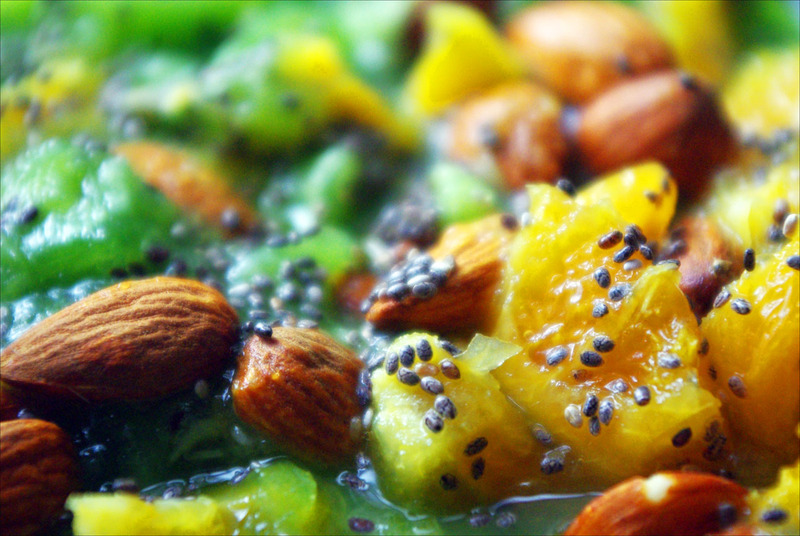 Kiwi Mash w/ Orange, Almonds & Chia Seeds – I love this. I halve a bunch of kiwis, scoop the flesh out with a spoon, (quicker than traditional peeling in my opinion), mash ’em up with any utensil (a potato masher works but so does a fork or back of a spoon) and top with fresh orange sections, raw almonds and sprinkle with chia seeds! 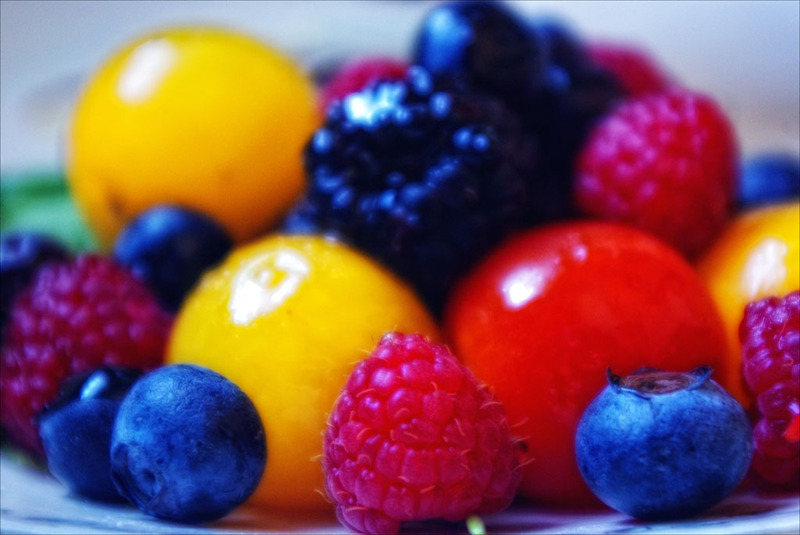 Simple, refreshing and very filling! I think that’s enough snacks for now! Back to the shows! It’s London Fashion Week right now and it has been great so far!